Certain nutrients and botanicals have been shown to help prevent and possibly reverse the aging process. Our H.N.S. Formula helps to nourish hair, nails and skin with collagen promoters that also help bone. 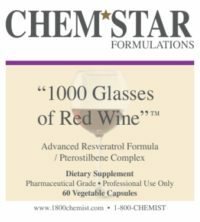 Our “1000 Glasses of Red Wine” is an advanced resveratrol formula that has shown promise in many anti-aging properties.